As a business owner, it is important to understand the work your accountant is doing , as their actions directly affect your expenses. Business owners do a lot to run their ventures successfully, and their accounting books aren't one of them. As such, entrepreneurs should be concerned with mastering the basic principles of IFRS vs GAAP to make their ventures more efficient and profitable than before. After all, business owners hire accountants so that they don't have to master every accounting concept. 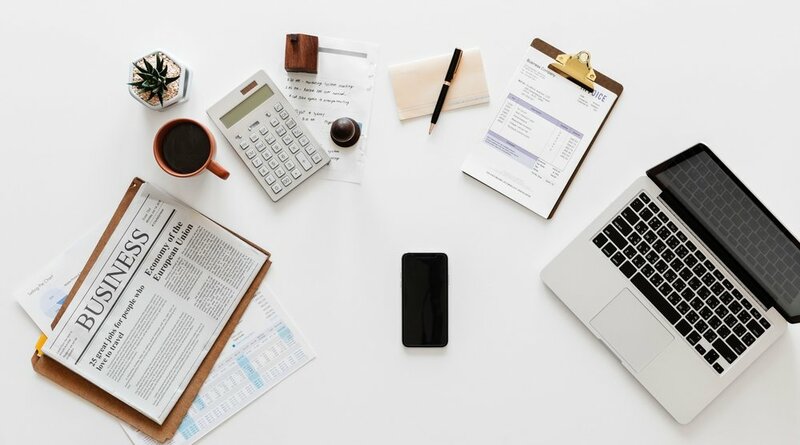 However, familiarizing yourself with the fundamental accounting principles can help an entrepreneur understand the responsibilities of their accountants. Accountants work under a set rules or policies, which are also known as GAAP. The more accountants learn about GAAP, the more they know why these accountancy principles help protect investors, entrepreneurs, and consumers from fraud. These principles also help maintain consistency across all accounting reports. The following are the fundamental accounting principles that every accountant should know. It dictates that accountants should record all activities in the same currency. That means an accountant has to put extra effort to convert foreign transactions and record them using the same currency. The principle also assumes that both the local and foreign currencies have a static purchasing power. That means accountants don't have to consider inflation in their financial reports even if an enterprise has been in existence for decades. It is the accounting principle that tends to grab all the attention. Under full disclosure principle, enterprises are required to disclose any document related to their transactions and accompany them with supporting notes. It ensures that no financial reports aspect misleads investors and stockholders. Most businesses operate on a cash basis, and that means accountants report expenses after expenditure and revenue after receiving cash. However, the matching principle requires some companies to report all their financial information based on their accrual. The matching standard requires accountants to record all the expenses and sales produced within the same period. Some of these expenses are overheads, sales commissions, salaries, and utility bills. The principle of materiality lets accountants makes their judgment when addressing an error or recording a transaction. It often comes to play when an accountant is filing a tax return form or reconciling their financial statements. The accountant can deem a discrepancy that seems relatively small when compared to the overall amount as immaterial. Accountants must address material discrepancies, but immaterial ones can be disregarded. The principle assumes that there is no defined end date for a business. It is the principle that lets an accountant defer an expense to a later date assuming that the enterprise will continue to function and exit. However, an accountant that feels concerned that circumstances might force an enterprise to liquidate can disclose this under the principles of GAAP. Accountants use a balance sheet to report a financial statement as of a given date. In contrast, the income statement or profit and loss statement encompass a range of time. That means financial statements should include the period for each activity for them to make sense to the reviewers and auditors. In short, the date is crucial in determining the authenticity of a financial statement. Of course, accountants want their bosses to keep their business transactions separate from their personal information. That makes the work of an accountant easier because transactions will be recorded separately. The economic entity principle assumes that enterprises are an entity themselves, and owners should treat it as such. Commercial entity assumption is part of the reason accountants insist that business owners create separate business bank accounts to make it easier to account and audit the performance of their investment. The principle applies even to a sole proprietorship, where the activities of an enterprise appear on the tax return of the owner. It implies that an enterprise can legally exist independently of its owner. All accountants in any type of business should familiarize themselves with these standards to work by. Though they are not all written in law, the SEC does require publicly traded companies to follow the GAAP standards. Guest blogger Kevin Gardner graduated with a BS in Computer Science and an MBA from UCLA. He works as a business consultant for InnovateBTS where he helps companies integrate technology to improve performance. He shares his knowledge and expertise not only with his clients but with his fellow bloggers and readers.